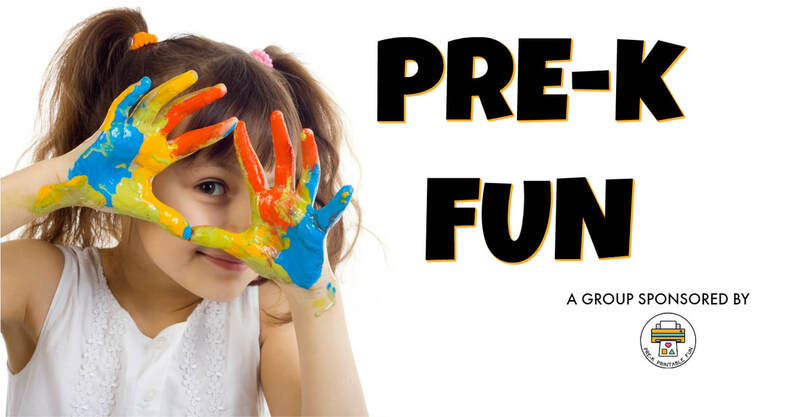 The Pre-K Fun FB group is a supportive place for early childhood educators (in all capacities) to share photos of their activities, learning spaces, D.I.Y Preschool Ideas, and products they've created from Pre-K Printable Fun. Our admin team facilitates several engaging posts throughout the month focused on creating learning spaces, activities, and lesson planning. They will also keep you up to date on featured blog posts, events, courses and product releases from Pre-K Printable fun! We truly believe everyone in our community has something they can contribute! Whether you share your own photos or make supportive comments, please be sure to give as much as you receive in our community. Please keep posts on topic and be positive and supportive. Our members come here to network with each other and seek advice from each other. Personally attacking/disrespecting our members/Admins, telling members to look things up on Pinterest, swearing, bashing, being hateful/mean is not accepted. If you don't like something or don't have anything positive or helpful to add to a conversation please scroll by. Please only upload your own photos in our Community: We welcome you to share your own original photos but please don't share photos that belong to others in this group. Please only join with the intent to collaborate with others and not to promote yourself or others. You will be removed for creating posts/comments that: promote or offer to distribute (free/paid) services or products (digital/tangible) created by you, your friends or affiliates to our group members. Soliciting likes for your fb page, asking for donations, trying to get new followers for your blog/website/group, bringing awareness that you are a rep for a company, posting anything that results in you earning affiliate earnings/commissions, or using our group to gather marketing information is not allowed. Pre-K Printable Fun Products: Many of my customer's come here to see how my products are being used, Customers are welcome to post photos of their Pre-K Printable Fun products in use directly to our group wall or in comments. Other Printable Products: I kindly request you refrain from posting Competitors Printable Products/Printables you have created to the Pre-K Printable Fun Community group wall. You are welcome to share photos of these on our Friday Round Up post (as long as you are not using our community to promote yourself or others). Please do your best to protect the privacy of the children/clients in your care please don't share identifying information about your clients or the children in your care. Although we prefer members to block/cover photos containing faces (as these photos can be shared easily across the internet) we will not prevent them. Members are responsible for only sharing photos they have permission to share. We have a variety of early childhood educators in our FB group from all around the world: Members are responsible for knowing any safety or regulations in their own cities/states/countries. Our Admins and Moderators are busy folks. They graciously volunteer their time and energy to keep the groups running smoothly. They also have businesses, children and families that need their time and attention. Our group is on post approval to avoid spam, but we do our best to approve your posts in a timely manner. If a guideline is broken they reserve the right to delete any content/activity without notice, remove, or ban any member (without warning). If you are unsure whether or not you should post something feel free to contact an Admin Via PM (please don't post on the group wall). OT Posts, and Posts that violate our guidelines are deleted without notification. *If you have a problem with a product, post, or group member please let an Admin know via PM, or by reporting the post (Please don't post your problem on the group wall). Our Pre-K Printable Fun group members are a great source of inspiration. Our admin team may occasionally contact you to feature your photos on the Pre-K Printable Fun Website or our social media accounts.